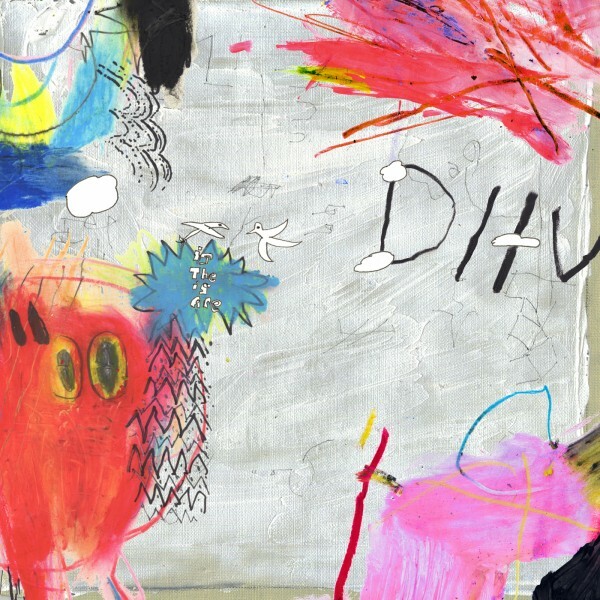 DIIV’s 2012 debut Oshin was one of the most widely received Brooklyn-indie albums we’ve had in the past few years; the band played shows incessantly and gained their fan-base with brutal force. Now in 2016, their long-anticipated sophomore album Is The Is Are, after several singles, has finally been released. Since their debut album, frontman Zachary Cole Smith and his girlfriend were arrested for drug possession, which was quickly followed by his entering rehab, and bassist Devin Ruben Perez made several offensive posts on 4chan that were seen as outrageous by fans. Needless to say DIIV followers expected a lot from Is The Is Are. Smith clearly wants to send out a new message that he and DIIV have deeply changed. (much of this change points towards the topic of addiction/sobriety). As Zachary Cole Smith puts it, “I feel like when discussing this album, a lot has been made of its relationship to drugs, and my own personal relationship with drugs…it is so important for me that this album register to people as being as true and as honest and as rooted in reality as possible.” Smith has promised to show his emotional development through Is the Is Are. The question remains, however: does the music show it? There are a few notable differences in DIIV’s sound development for Is the Is Are, notably the addition of more guitar layers (krautrock inspired riffs, use of harmonics), synthesizer drones, and more poetic, emotional lyricism. As a whole, the indie community has been generally pleased with DIIV’s performance on their sophomore album. Like their last album, Is the Is Are is soaked in the reverb and punchy, energetic drums we all have grown to love. However, to be honest, the band’s sonic progression seems to fall short of Zachary Cole Smith’s boasts. In a word, this album seems to be like their debut, Oshin, with a layer or two tacked on to it. The sense of ‘reinvention’ that was expected in this album is only half there. Overall, this is definitely a good album, but leaves DIIV fans with the sense that Smith may have been all bark and no bite this time around, which is a huge disappointment considering the album took four years to release. As a whole, Is the Is Are is (heh) by no means a bad album. It’s actually very nice to listen to as a whole, and reflects well on todays guitar and indie scenes. Driving beats, certain complexities, and personal lyrics: all the components are definitely in the album. I hope the members of DIIV continue an upward trend, and I hope that upward trend becomes steeper. This entry was posted in CKUT programming and tagged 2015, DIIV, Guitar, Indie, Is The Is Are, New York on February 16, 2016 by librarian.